UKOTA met on 13th June 2018 to plan for the next Joint Ministerial Council. 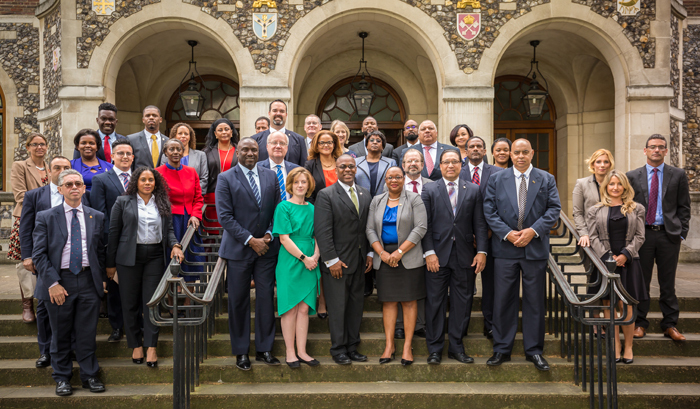 The UK Overseas Territories Association's (UKOTA) meeting to plan ahead for the 2018 Joint Ministerial Council got underway on Wednesday 13th June 2018 at Church House, Westminster. Falklands MLA the Hon Teslyn Barkman chaired the session, as this year’s President of the UKOTA Political Council. I represented the Chief Islander. The planning meeting in progress in Church House, Westminster. Chris Carnegy's point gets a reaction from the Chair. 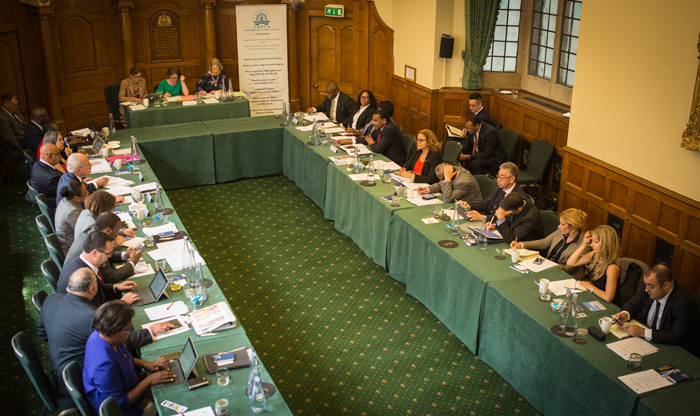 Heads of delegation for (L-R): Tristan da Cunha, Montserrat, Cayman Islands, Turks and Caicos Islands, Bermuda, Falkland Islands, Gibraltar, British Virgin Islands, and St Helena. Delegates at the pre-JMC planning meeting.